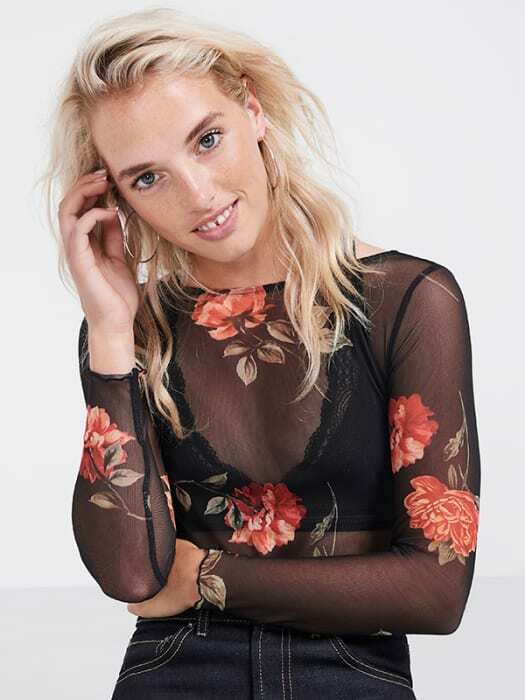 Make the mesh-movement your own with this floral patterned black Bodysuit. 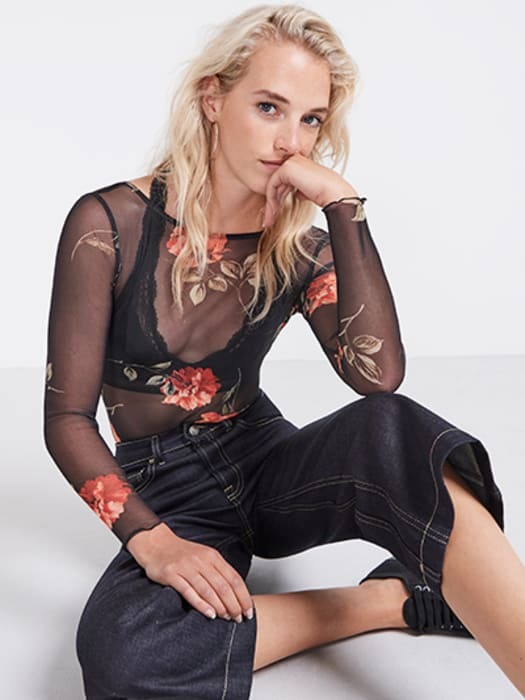 The semi-sheer style hugs the body for a streamlined fit, while all-over pops of petal provide look-at-me detail. 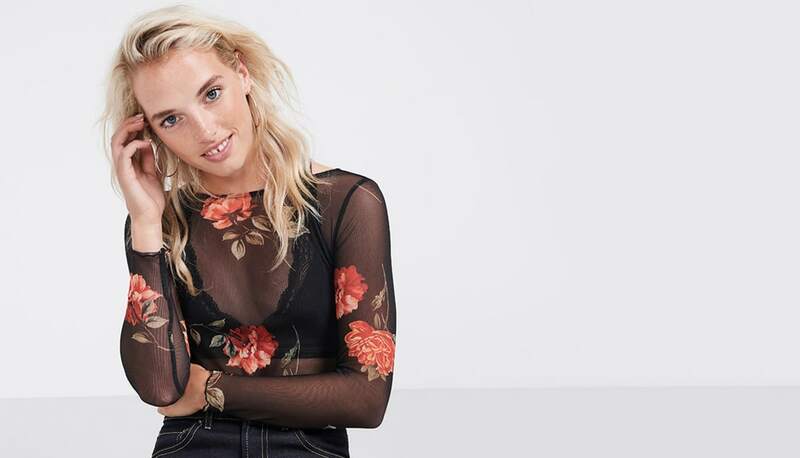 Tuck it into your hero denim for day, under a mini-skirt for play.